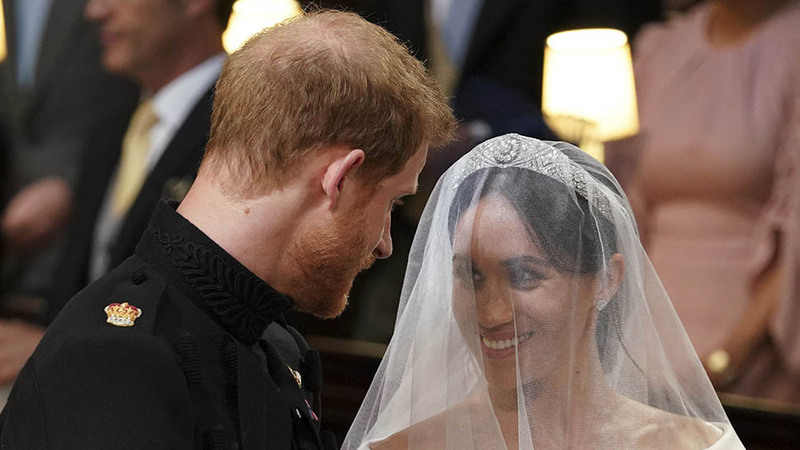 Everything from the flowers in Meghan's bouquet to the celebrity performances at the couple's reception. 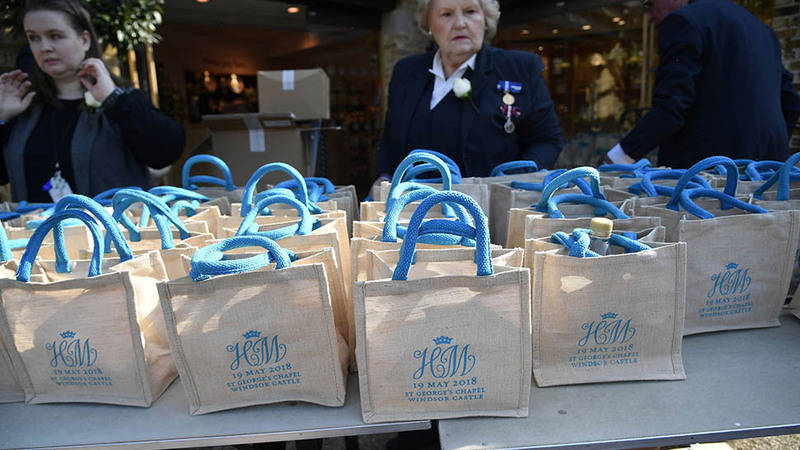 The wedding invitations were mailed out to 600 guests in mid-March and had been issued in the name of the Prince of Wales. The invites made by royal warrant holder Barnard & Westwood all feature the three-feathered badge of the Prince of Wales in gold ink. Each invite was created using a die-stamping machine that dates back to the 1930s. The printing company used American ink on English cards, which pays tribute to both the bride and groom’s heritage. On the invitation, the couple acknowledged Meghan Markle’s divorce by giving her the title of “Ms.” as opposed to “Miss” if she had been an unmarried single woman. As for the format, Prince Harry’s name appears before Meghan’s since it’s royal protocol that the royal participant would always be named first. The royal couple chose a more discreet location to hold their nuptials. 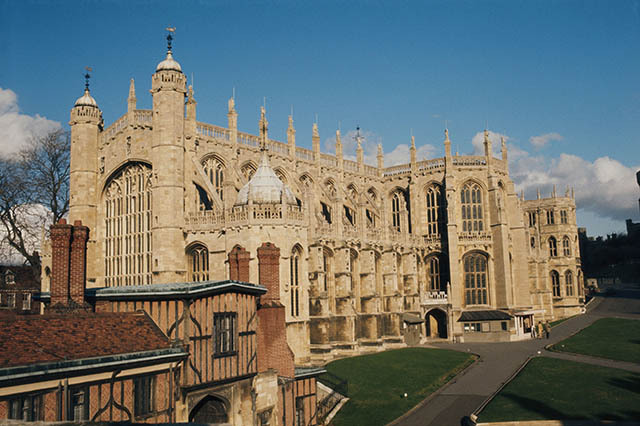 St. George’s Chapel, where most members of the immediate royal family are buried, accommodated the 600 guests Prince Harry and Meghan chose to witness their special day. It was also the same venue Harry’s uncle, Prince Edward, tied the knot with Sophie Rhys-Jones. The Gothic-style chapel was established in the 14th century. The venue holds a significant place in the groom’s history since it was the site he was baptized in in 1984. It’s located on the grounds of Windsor Castle and inside, the intricate architecture and elaborate stone fan vaulting provided a magnificent setting for Prince Harry and Meghan to exchange vows. The bride had expressed in the past that she wanted a simple wedding dress, and today, we saw her wish come true. The Givenchy dress Meghan is wearing on her big day was created from an “exclusive double bonded silk cady” and comes in a pure white color. 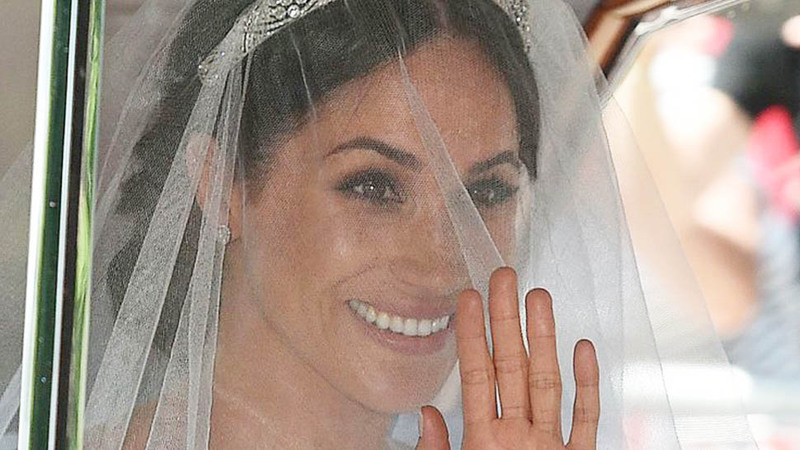 What Meghan’s dress may lack in detail, her veil makes up for. 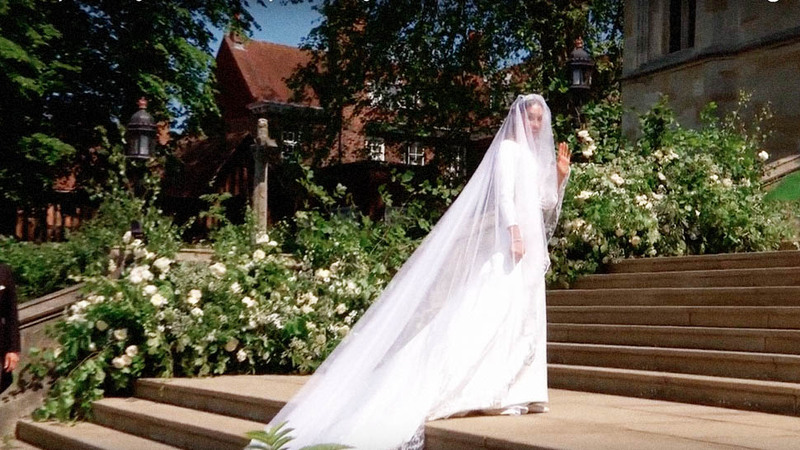 According to Kensington Palace, Meghan requested her veil to include “all 53 countries of the Commonwealth with her on her journey through the ceremony.” To achieve this, designer Waight Keller incorporated the flora that represents each Commonwealth country into the veil’s embroidery, plus two favorite flowers of the bride herself. 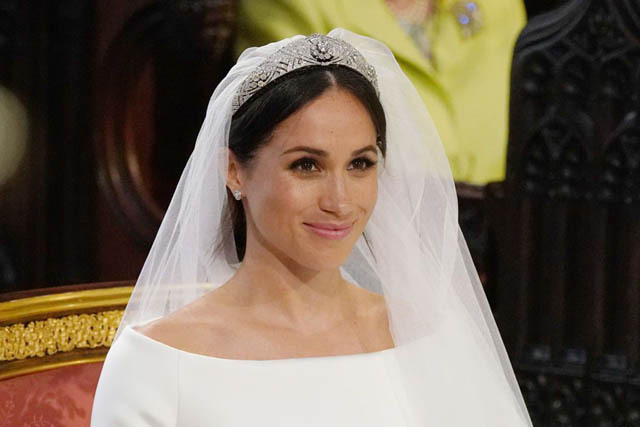 With the royal jewels at her disposal, the bride adorned herself with earrings and a bracelet by Cartier to match the three diamond-encrusted yellow gold engagement ring Prince Harry offered her when he proposed. (Sweetly, Harry designed the ring himself, and the central stone came from Botswana, where the couple had their third date). 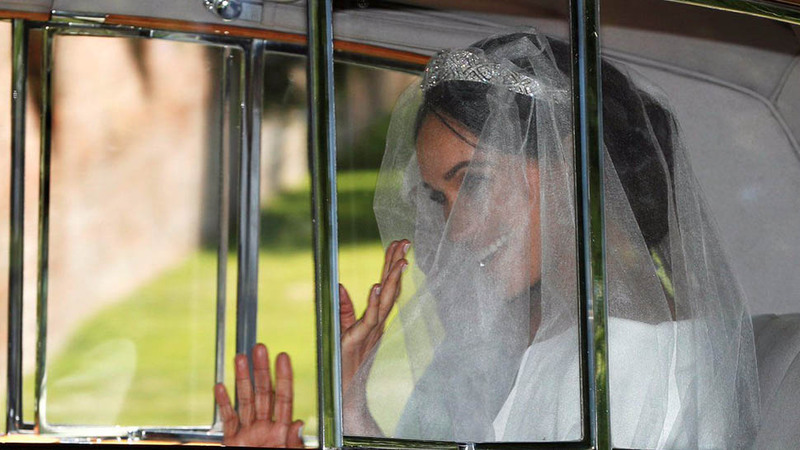 Perched on her head, the bride wore Queen Mary’s diamond bandeau tiara, which was lent to her by the Queen. The tiara is made of diamonds and platinum, with the center jewel dating back to 1893. The brooch was given as a present to Princess Mary on her wedding day. 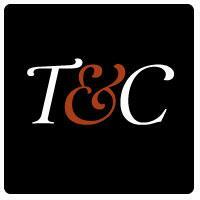 As for the wedding rings, the royal couple chose royal jeweler Cleave and Company to make the rings. 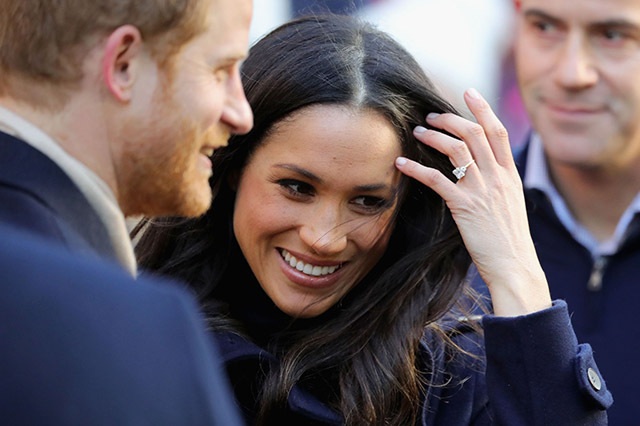 Meghan’s ring was “fashioned from a piece of Welsh Gold,” given to her by Queen Elizabeth II, while Harry’s simple platinum band features a textured finished. Now, let’s turn our attention to Prince Harry’s sartorial decision. There was speculation on whether he would wear a military uniform or morning dress for the wedding, but the bridegroom surprised everyone by arriving in a frockcoat uniform of the Blues and Royals, which was tailor-made by Dege & Skinner on Savile Row. He matched with his brother and best man, Prince William. According to the Royal Family’s official website, the Queen had to give her permission for Harry to wed in this uniform. 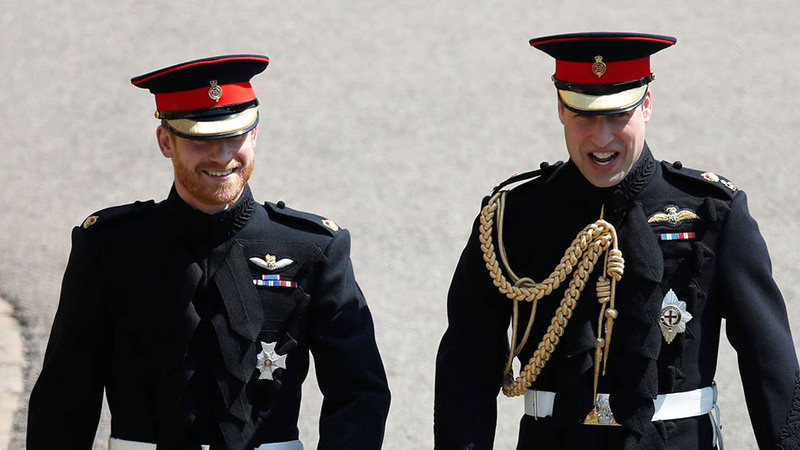 Prince Harry veered away from tradition when last month he announced that he'd be returning the favor of having his brother, Prince William, as his best man. William responded by saying, "It feels great, a real delight ... revenge is sweet." Meghan, however, did not opt to have a maid of honor. Jasper Dyer (the godson of Prince Harry), Brian Mulroney, and John Mulroney (sons of Meghan's close friend Jessica Mulroney) served as page boys alongside Prince George. Princess Charlotte, Florence van Cutsem (the goddaughter of Prince Harry), Remi Litt (the goddaughter of Meghan Markle), Rylan Litt (the goddaughter of Meghan Markle), Ivy Mulroney (the daughter of Meghan's friend Jessica Mulroney) and Zalie Warren (the goddaughter of Prince Harry) were Meghan's bridesmaids. At their Windsor Castle reception, the couple will serve a lemon elderflower cake “that will incorporate the bright flavors of spring. It will be covered with buttercream and decorated with fresh flowers.” It was announced in March that the couple has selected Claire Ptak, a pastry chef who was raised in California but now owns London-based bakery Violet Cakes, to bake this cake. A day before the wedding, the Royal Family and Kensington Palace social media accounts shared how Ptak made the cake. She obviously didn’t scrimp, using 200 Amalfi lemons, 500 organic eggs from Suffolk, 20 kgs. of butter, 20 kgs. of flour, 20 kgs. Of sugar, and ten bottles of Sandringham Elderflower Cordial. Royal wedding bouquets contain at least one sprig of myrtle, a tradition which dates back to the wedding of Queen Victoria's daughter Princess Victoria. Myrtle symbolizes hope and love, making it a fitting addition to any bride's bouquet, royal or not. "The spring blooms include Forget-Me-Nots which were Diana, Princess of Wales’ favorite flower. The couple specifically chose them to be included in Ms. Markle’s bouquet to honor the memory of the late Princess on this special day." 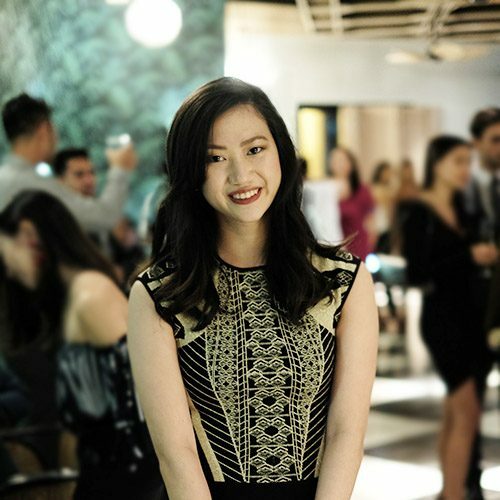 On March 31, it was announced that Markle and Prince Harry have chosen to work with London-based florist Philippa Craddock. For arrangements in St. George's Chapel and St. George's Hall, she used white peonies, white foxgloves, white stocks, flowering birch, beech, hornbeam, and blue delphiniums. Meghan's mother, Doria Ragland, rode in the car with Meghan to Windsor Castle on the morning of the wedding. Before arriving at Windsor, Meghan and her mother spent the night at the scandalous Cliveden House in the Berkshire countryside. The bridegroom arrived with his best man. 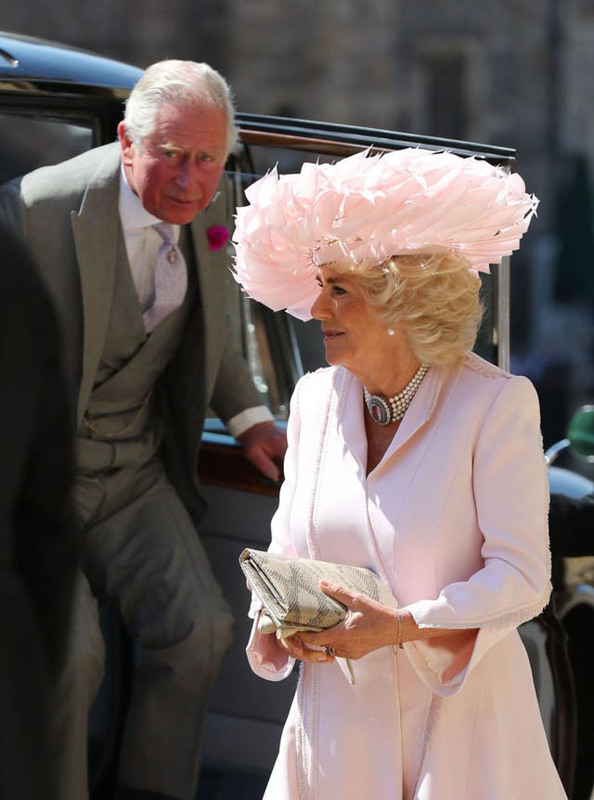 Minutes later, the mother of the bride, Doria Ragland, arrived just before Prince Charles and Camila. The Queen and Prince Philip made an entrance shortly after. 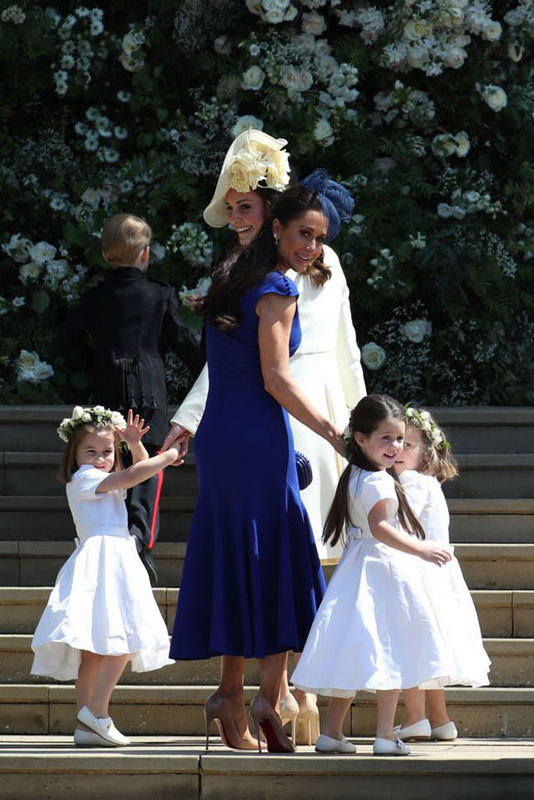 Then came the bridesmaids and pageboys, who were escorted by a few of their mothers Jessica Mulroney and Catherine, Duchess of Cambridge. Finally, the bride arrived at St. George’s in a burgundy Rolls-Royce with a couple of her page boys. While we won’t get to see the iconic balcony kiss, we did get to see Prince Harry and Meghan Markle’s first moments as a couple during their carriage procession around Windsor. The wedding was followed by a carriage procession through Windsor at 1 p.m. directly following the ceremony, and the horses were out in full force on Thursday practicing. It lasted approximately 25 minutes. As for the carriage, they specifically rode the Ascot Landau and were serviced by father and son Windsor Grey horses, Storm and Tyrone, and two other horses. "The carriage is one of five Ascot Landaus in the Royal Mews. 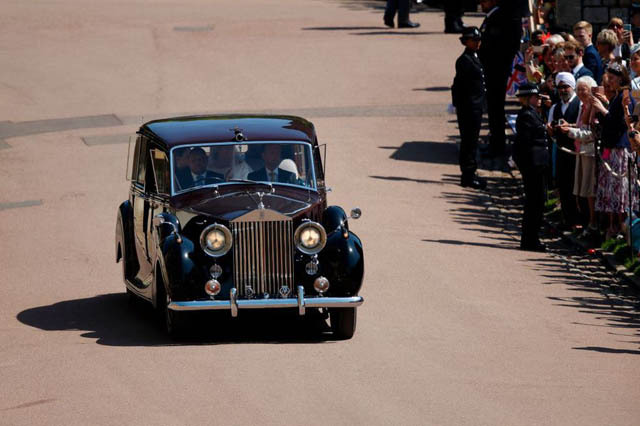 The carriages are used in official and ceremonial state events, such as Coronations, Royal Weddings and State Visits," the palace shared via Twitter. 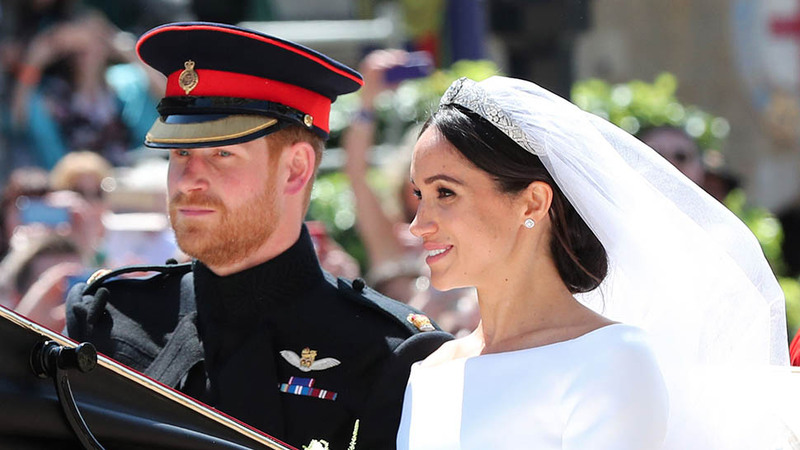 According to CNN, this is the couple’s procession route: "The newlyweds will leave Windsor Castle in a carriage and travel along High Street through the town of Windsor, before returning to the castle by the Long Walk." It was a very royal affair. While it’s expected that Queen Elizabeth, Prince Philip, Prince Charles, the Duchess of Cornwall, and the rest of the immediate Royal Family would be present, some of the royal guests included Princess Anne, Prince Andrew, Prince Edward, royal cousins Zara Tindall, Princess Eugenie, Princess Beatrice, Peter Phillips, and more. The Spencer side was represented as well. Princess Diana’s sisters Lady Sarah McCorquodale, Lady Jane Fellowes, and her brother Earl Charles Spencer and some of their children were invited. Celebrity guests included Oprah, Idris Elba, James Blunt, George and Amal Clooney, David and Victoria Beckham, James Corden, and Elton John. Some of the surprising people on the guest lists were Prince Andrew’s ex-wife Sarah Ferguson and Prince Harry’s ex Chelsy Davy and Cressida Bonas. On Meghan’s guest list, celebrity girlfriends Priyanka Chopra and Serena Williams were in attendance, as well as 25 cast members from Suits. 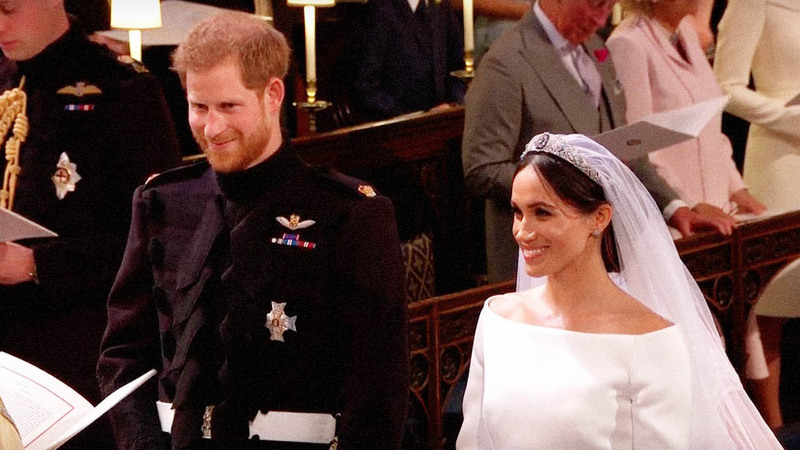 While we probably won’t get to see photos from the reception at Windsor Castle and the evening reception at Frogmore House since everyone’s phones will be confiscated, here’s what we know about the events happening after the ceremony. Meghan will change into a rumored second wedding dress for the evening reception. Prince William will most likely give a Best Man’s speech, in which he teasingly plans to exact his revenge on his younger brother. 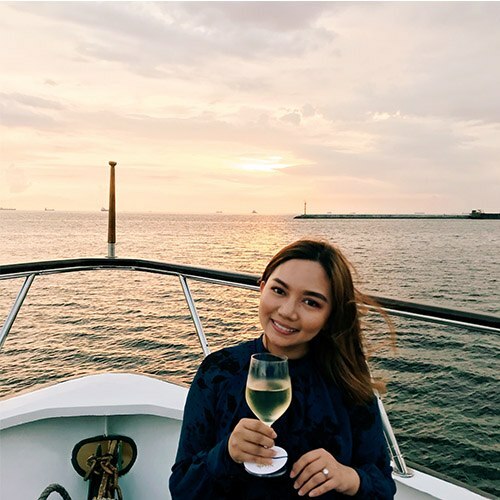 In a break from tradition, the bride will also be making a toast of her own. There will also be no dull moments, as the party prepared a stellar lineup of acts, including a performance by Elton John, who rescheduled two Las Vegas concerts to be present at Harry’s wedding.